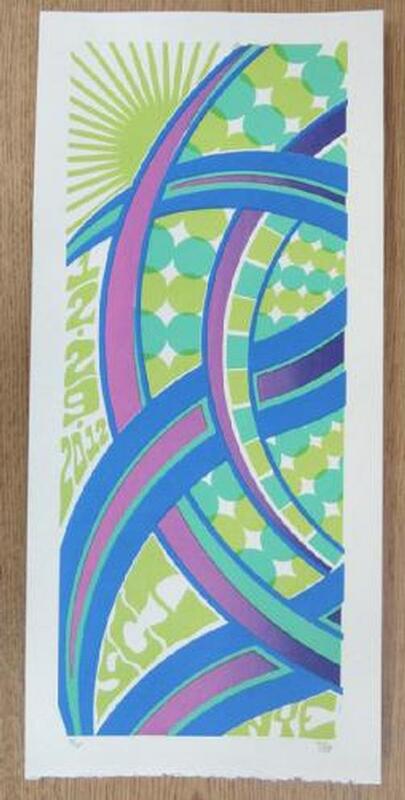 Original silkscreen concert poster for String Cheese Incident for New Years at The First Bank Center in Broomfield, CO in 2012. It is printed on Watercolor Paper with Acrylic Inks and measures around 10x22 inches. Signed and numbered limited edition out of only 78 by artist TRIPP.